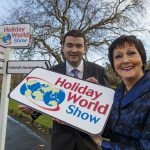 Discover a variety of breathtaking Irish holiday destinations at Holiday World Show, taking place in the RDS Simmonscourt from Friday 26th January to Sunday 28th January 2018. The show’s largest ever Home Holiday Pavilion was launched in Dublin today by Brendan Griffin, T.D. Minister of State for Tourism. The nation’s movie critics have spoken. 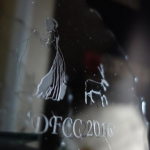 The members of the Dublin Film Critics Circle have, for the 11th year, selected their favourite works of 2017. In common with many awarding bodies, Dunkirk was a clear favourite, as was Christopher Nolan, who was named Best Director. Second placed Get Out polled strongly in the Best Film category, with a tally that, numerically, would have won any of the previous annual polls. The Irish Travel Agents Association (ITAA) has expressed its concern at today’s announcement that Ryanair pilots, who are members of the Irish Airline Pilots’ Association (IALPA), plan to strike on Wednesday 20th December. 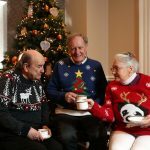 ALONE, the charity that supports older people to age at home, today launched their Christmas campaign which asks individuals to support the work of ALONE by volunteering and donating, and for older people experiencing isolation and loneliness to get in touch with ALONE to avail of one of it’s services. At the launch of the campaign former broadcaster and journalist Vincent Browne urged members of the public to offer friendship and support to those living alone. This Christmas, ALONE, the charity that supports older people to age at home, has partnered with An Post for its ‘Do One Thing’ campaign. 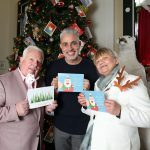 Baz Ashmawy launched the campaign which encourages members of the public to reach out to older people experiencing loneliness by sending them a personalised An Post card. 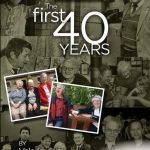 A new book on the history of ALONE, the charity that supports older people to age at home, was launched yesterday evening in the National Library of Ireland, Kildare Street, by Minister of State at the Department of Health Jim Daly T.D., who has special responsibility for Mental Health and Older People. 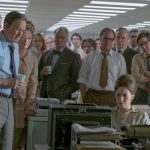 Entertainment One are thrilled to share with you the first trailer for the highly anticipated film THE POST, where Academy Award winning director Steven Spielberg helms a powerhouse cast including Oscar winners Meryl Streep and Tom Hanks. 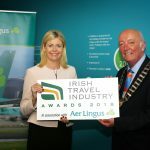 The Irish Travel Agents Association (ITAA) is excited to announce that voting for the 2018 Irish Travel Industry Awards in association with Aer Lingus is now open. 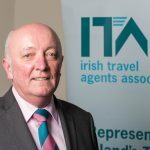 The Irish Travel Industry Awards, now in their eight-year, are the premier awards for suppliers and agents in the travel industry in Ireland. They will take place in the historic Round Room at the Mansion House Dublin on Thursday, 25th January 2018. The Irish Travel Agents Association (ITAA) has issued advice to Irish holidaymakers travelling to Catalonia in Spain following the action taken by Spanish prime minister, Mariano Rajoy, to impose direct rule on Catalonia after the region officially declared independence from Spain last week.